The "Suomi-saundi" is derived from the native name for Finland, the original birthplace of this particularly fat, funky, frantic, silly, and experimental form of psychedelic trance. Although it is now made all over the world the name "Suomi" has stuck. It is a proper noun in English therefore it is capitalized, just like Goa. 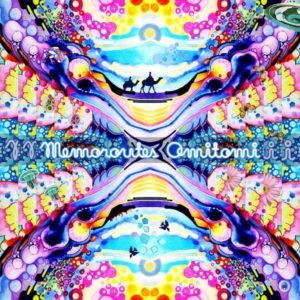 Omitomi’s debut mini-album Memoroutes represents the notorious Suomisaundi at it’s best: quirky soundscapes, mind-bending melodies, and ultra-groovy bass lines. Omitomi is mysterious entity from the deep ghettos of eastern Helsinki with more than a decade of experience making groovy tracks. His first releases were on mikseri.net and later his tracks were heard on compilations around the globe as well as in his live sets. The man himself describes his musical career as a “long time wandering great nightmare”. Mastered by Igor Ceranic at Deimos Soundlabs with cover art by Zzzz. MP3 Download | FLAC Download | WAV Download · Download count: 4,531. 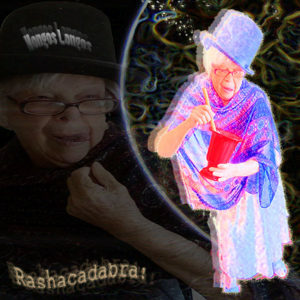 Jonas Cout is back to the slower BPMs with his new release under his Hongos Longos guise, Rashacadabra. Prioritizing live recorded instruments, the result is a inventive and direct collection of songs, a dialogue between the electro and the organic. Brazilian sounds are more present this time, blending with the adventurous Hongos Longos harmonies. Featuring Daniel Guedes on the saxophone, Raphael Teixeira on the violin, and Jonas himself on the flute, expect the plethora of peculiar soundscapes and musical weirdness that has become his signature sound. Mastered by Natan Bueno @ Psychowave Studio, São Paulo, Brazil. All songs written and produced by Jonas Cout @ Inato Stuio Rio de Janeiro, Brazil, with artwork by Longos Hongos. MP3 Download | FLAC Download | WAV Download · Download count: 5,362. MP3 Download | FLAC Download | WAV Download · Download count: 7,240. 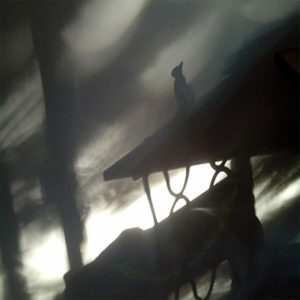 Psysis Dead is a set of psychographic sounds channeled by Jonas Cout and composed by the entity called Hols Browks from the Frofenz dimension. After releasing his acclaimed downtempo album Grovenz Frofenz, Jonas received this new piece with higher and accelerated BPMs. After decoding all tracks it has become clear what is the meaning of the message brought by the fluctuating modulations attracted by the tasty Hongo Longos melodies: Music should be free from all shapes and labels! All tracks written and produced by Jonas Cout. Mastered by Felipe Rossi at BR Digital Mastering except tracck 3, mastered by Antilogic, Berlin. Artwork by Hongos Longos. Released in 2017 by Celebretiohm Records. MP3 Download | FLAC Download | WAV Download · Download count: 4,869. 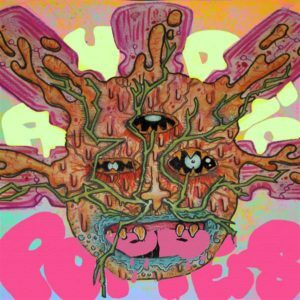 Trance Bum Productions is back with Audio Poppers, another dose of the freshest mind-bending freestyle psychedelic tunes. 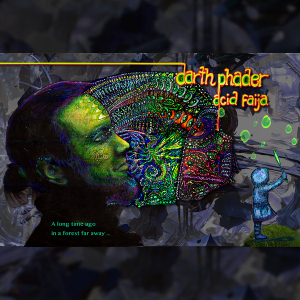 Musical boundaries are broken and all morals go down the toilet with this unorthodox assortment of subgenius sonic fumes and discordian attitudes. This time not only concentrating on new Finnish artists, Audio Poppers offers you the weirdest and funkiest stuff from Russian Cossack, Poetist from Denmark, and even one Swedish guy living in Finland for some weird reason. Released by Trance Bum Productions, compiled by Mussa Kussa, mastered by Heba Rinkinen, with artwork by Alpo Luoto.